Have you ever looked at something crocheted and wished you could do that too? Or maybe you've tried and learned the very basics from a mother, grandmother or someone else in your life, but you need a little refresher. The Beginner's Guide to Crochet is a full course designed to teach anyone how to crochet and how to use those basic skills to continue growing and making beautiful handmade things for years to come. 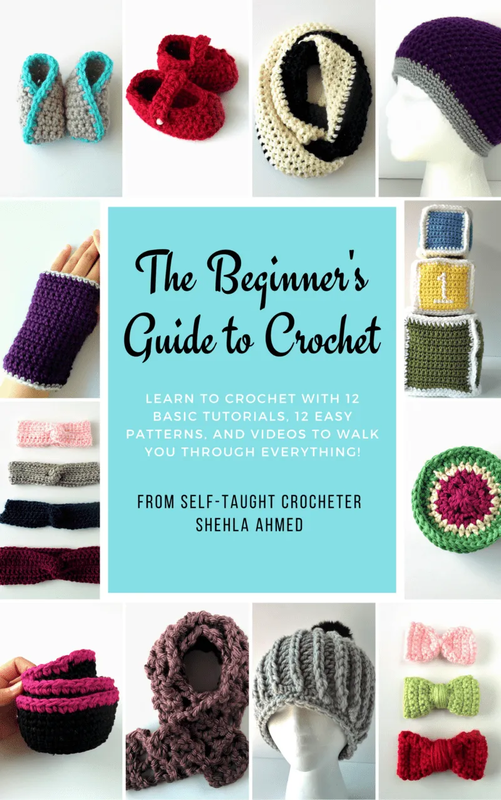 Claim your FREE copy of The Beginner's Guide to Crochet Ebook! Thank you! Check you email for freebie! The 63 page ebook is a FULL COURSE to teach you how to crochet and it includes all the resources you need! Each lesson includes a written description of what to do, pictures showing you each step and how it should look AND a video tutorial that you can follow along with! To help you practice your new skills and learn how to read patterns at the same time, there are also 12 patterns that are simple, fun, and perfect for beginners to make quickly and easily. Each pattern has pictures of the finished project, step by step photos and a video to show you how to make it! Are you ready to learn crochet and start making beautiful handmade creations?